Just call it Generation Stress. 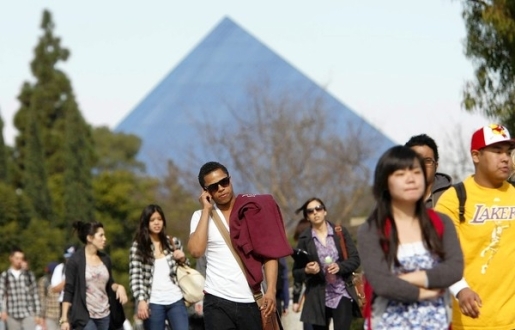 Every year, the University of California-Los Angeles conducts a survey of incoming freshmen students. Dubbed “American Freshman,” the report is a look into the circumstances and mindsets of a wide variety of college students enrolling at UCLA, and it’s one of the longest-running and most exhaustive surveys of student thoughts and feelings on record. This year’s freshman class is reporting record stress levels before classes even start! The economy is contributing to the stress as well. According to the report, 62.1 percent of surveyed freshman said the recession had affected their choice of college. Some 73.4 percent are depending on grants and scholarships. There was also a high rate of parental unemployment being reported by the freshman class, but overall, the kids are optimistic about their chances at college. The highest share of students since 1982, 57.6 percent, reported a “very good chance” that they would have a good college experience. As someone whose college choice was determined by economics and who depended on grants and scholarships while his father was off work due to a serious workplace-related injury, I can empathize all the mental stress these kids are going through. Still, I made it okay, so you can too. Just stay away from the Four Loko and you’ll be fine.